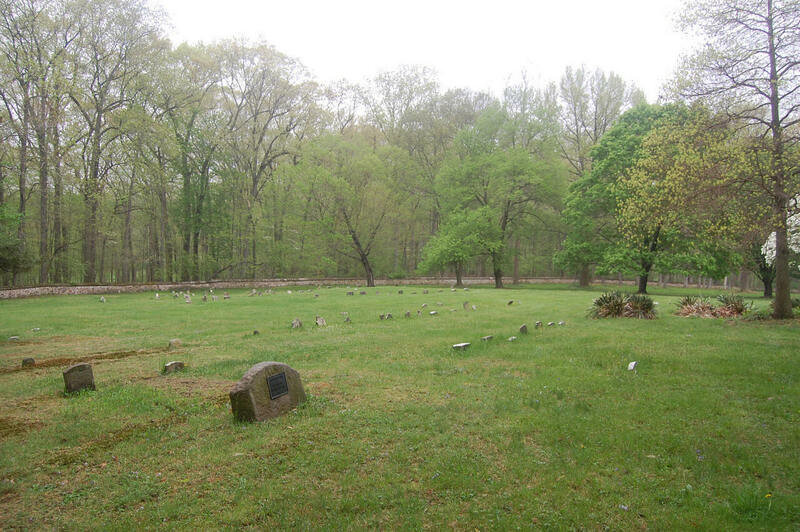 Here is a view of the marker and the southwest corner of the burial ground. According to the caretaker, this is the area where George and Sarah are probably buried. It is the oldest area and there are no markers. The Meeting noted in 1706 that "it is altogether wrong and of evil tendency for to have any grave stones or any other sort of monument over or about the graves". The earliest stones in the burial ground date from the 1790s.